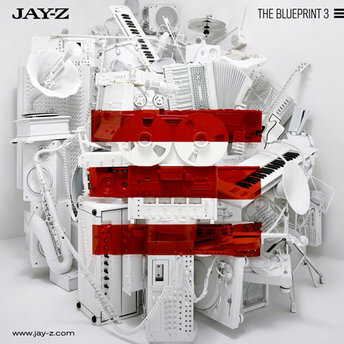 In its second week, Jay-Z’s “The Blueprint 3” is still number one on Billboard’s Top 200 Albums list. Jay sold 476,000 in the first week and another 298,000 in its second. Jay has been touring and appearing on various TV shows to promote the album. In other rap album news, Kid Cudi’s debut “Man On The Moon: The End Of Day” is at number four with 104,000 albums sold. The album already has two top 50 hits (“Day ‘N’ Night” and “Make Her Say”.) and Drake’s EP “So Far Gone” is at number six with 73,000 albums sold. 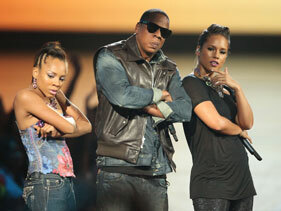 Why Was Lil Mama On Stage With Jay-Z & Alicia Keys? There was a lot to talk about after watching the MTV VMA’s on Sunday…like what was Kanye thinking when he jumped on stage and dissed Taylor Swift and who was on stage when Jay-Z & Alicia Keys were performing “Empire State Of Mind” on the MTV VMA’s? 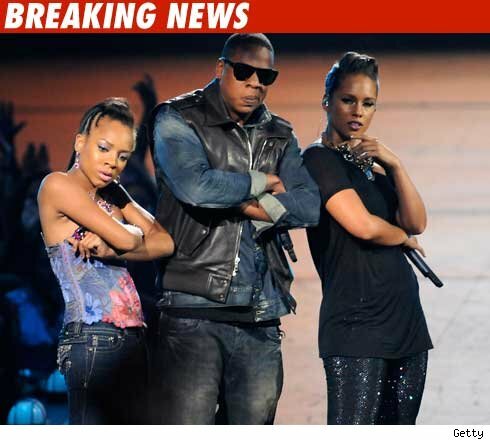 Well, mystery solved…it’s rapper Lil Mama. In a moment of excitement, Lil Mama jumped on stage and started to act like she was part of the performance. For the record, Lil Mama was not scheduled or asked to perform with Jay & Alicia and she is not on any tracks by Jay or Alicia. This week is Hip-Hop week on Fuse TV as the channel airs movies, interviews and documentaries about some of the most popular and influential rappers of all time. Check your local listing to confirm the dates and start times. 50 Cent: Refuse 2 Die– Filmmaker Mike Corbera interviews friends and colleagues of the successful rapper. The 50 Cent Chronicles– Music videos show the artist’s rise to stardom from humble beginnings. Tupac Shakur: Before I Wake– Hip-hop pioneer Tupac Shakur during the final year of his life. Juice– Four Harlem buddies hold up a store, and one of them (Tupac Shakur) gets hooked on the thrill of the gun. The Jay-Z Chronicles– The history of Jay-Z. Jay-Z Live From Madison Square Garden: Answer the Call– The rapper performs a charity event. Beef: The MC Battle– High profile disputes among artists; featuring 50 Cent, Jay-Z, Nas, DMX, Snoop Dogg, Tupac, Dr. Dre and Ice Cube. 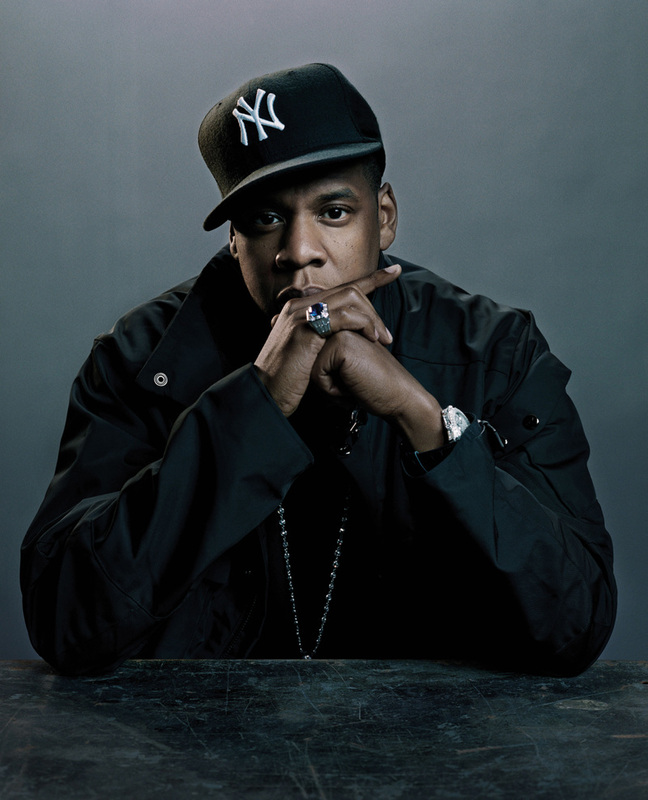 Jay-Z To Play At New York’s Blender Theater Tonight! Jay-Z will perform an intimate, free show tonight (Wednesday, September 9th) at New York’s Blender Theater. For more information on how to get tickets, email hiphoptix@myspacemusic.com. Jay-Z has moved the release date for The Blueprint 3 from Friday, September 11th (which is the 8th anniversary of the first Blueprint album) to today (Tuesday, September 8th). Jay-Z will also tour in support of The Blueprint 3. Below are the confirmed tour dates, but more may be added in the coming weeks. Some tracks from The Blueprint 3 have leaked online. The album is scheduled to be released on September 11th. Jay has a busy schedule ahead as he will perform at Madison Square Garden on September 11th to benefit the NY Police and Fire Widows’ and Children’s Benefit Fund. On September 13th Jay will appear on the MTV VMA’s and on September 14th, Jay will perform with Kanye West and Rihanna on the debut episode of The Jay Leno Show. Rapper, Memphis Bleek is slated to release his fifth album, “The Process E2” on November 24th. The album will be executive produced by Memphis’ mentor Jay-Z. Rick Ross, Pharrell, Just Blaze and No I.D. are producing some of the tracks and Jay-Z will make a guest appearance in addition to being executive producer. 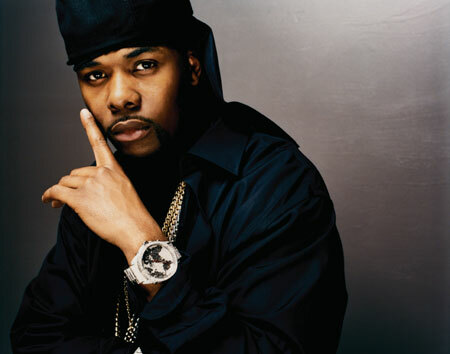 Memphis Bleek was one of the first artists signed to Roc-A-Fella records and was featured on the following Jay-Z albums, “Reasonable Doubt”, “In My Lifetime Vol. 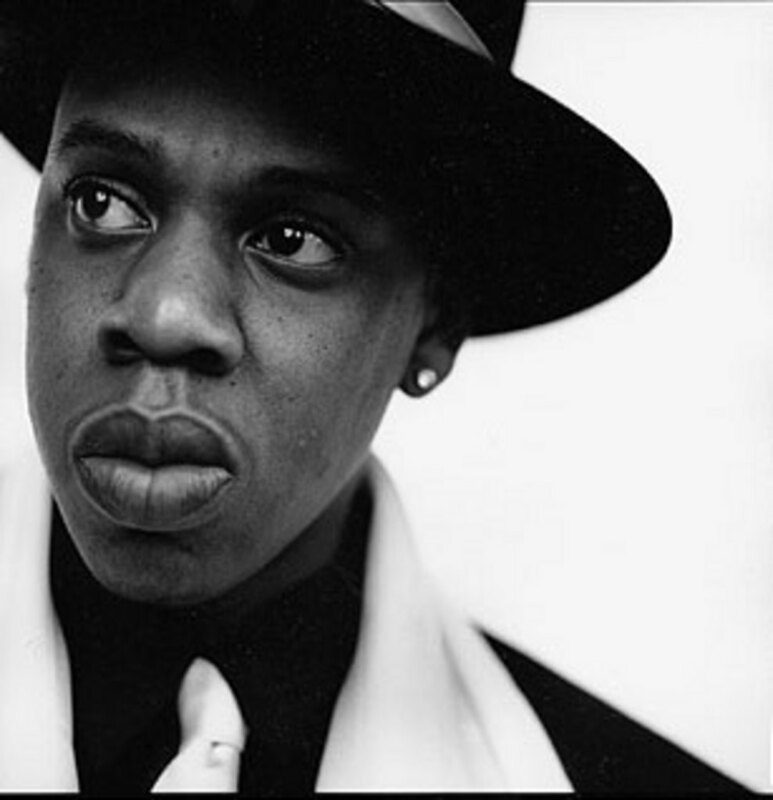 1″, “Hard Knock Life” and “The Dynasty: Roc La Familia”. Jay-Z will play Madison Garden Square on September 11th to celebrate the release of The Blueprint 3. The show will benefit the New York Police And Fire Widows’ & Children’s Benefit Fund (a charity set up in 1985 to support the families of police officers and firefighters who have died in the line of duty). Jay-Z announced the track list to his upcoming album, “The Blueprint 3,” through his website (www.jay-z.com). The album will be released on September 11th through Jay’s own RocNation with distribution through Atlantic Records. Croatian police will not press charges against Jay-Z and Beyonce’s bodyguard after investigating a report filed by photographers. The bodyguard was trying to shield the couple (who were vacationing in Dubrovnik, Croatia) from the photographers, but the photographers said that bodyguard got physical with them. Footage of the altercation shows the bodyguard (named only as Julius) wrestling with the photographers outside a restaurant, while Jay-Z can be heard saying “let’s go, let’s go, don’t worry about it” and “stop, stop, stop”. The footage later shows Jay-Z, Beyonce and others boarding a boat. The photographers threw an object at the bodyguard and the bodyguard threw the object into the sea. The photographers claimed that the bodyguard made threats, physically attacked them and damaged their equipment.